Your voice is a tool. What will you use it to create? Use the power of your voice to smash through the barriers faced by the Suffragettes in their fight to win the vote for women. 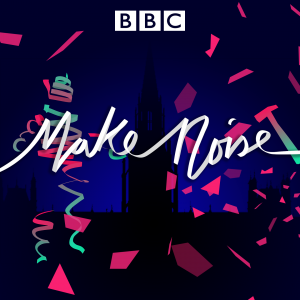 Created with BBC VR Hub, Make Noise uses original archive material from the Suffragettes to retell the dramatic story of how a few women started one of the most important movements in history. In a series of colourful and abstract worlds that represent the stages of their struggle from frustration to resistance to victory, you are invited to use your own voice and consider what it means to speak up in a world that does not value your voice. Mesmerizing, profound and playful – Make Noise empowers participants to follow Emmeline Pankhurst’s famous lines: “You have to make more noise than anybody else, you have to make yourself more obtrusive than anybody else, you have to fill all the papers more than anybody else, in fact you have to be there all the time and see that they do not snow you under”.